Last week was a rough one. Claire was sick and missed 4 days of school. She would always seem to get better around mid morning and then start feeling bad again or a new symptom would develop by late afternoon. Maddy was glad to have Claire home as a playmate when she wasn't feeling so bad but by the end of the week they had enough of each other and were constantly fighting. We had a new HVAC system put it which is great as our old one was on its last legs and it's suppose to be a hot summer. But the day they installed it was a chilly one and we ended up being without heat for most of the day. Not so fun. Claire stayed warm in her flannel PJ's but Maddy on the other hand put on a sleeveless dress to romp around in because in like Elsa manner the cold doesn't bother her anyway. For real... she wants to wear a sun dress all. the. time. Summer can't come fast enough. Luckily, I found this delicious recipe to warm us up! 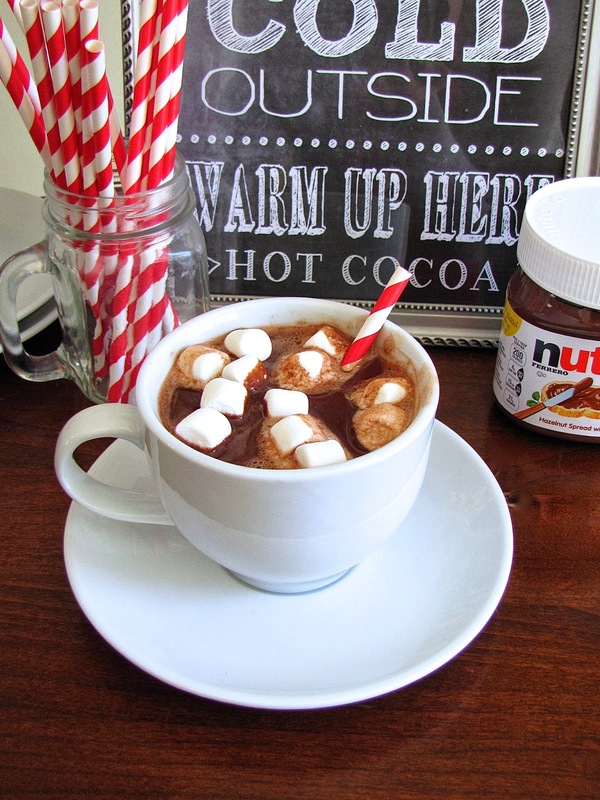 I love hot cocoa and this one is so much better than the powder packets. Give it a try while it's still chilly! In a small sauce pan over medium heat whisk all the ingredients together until well blended and hot. 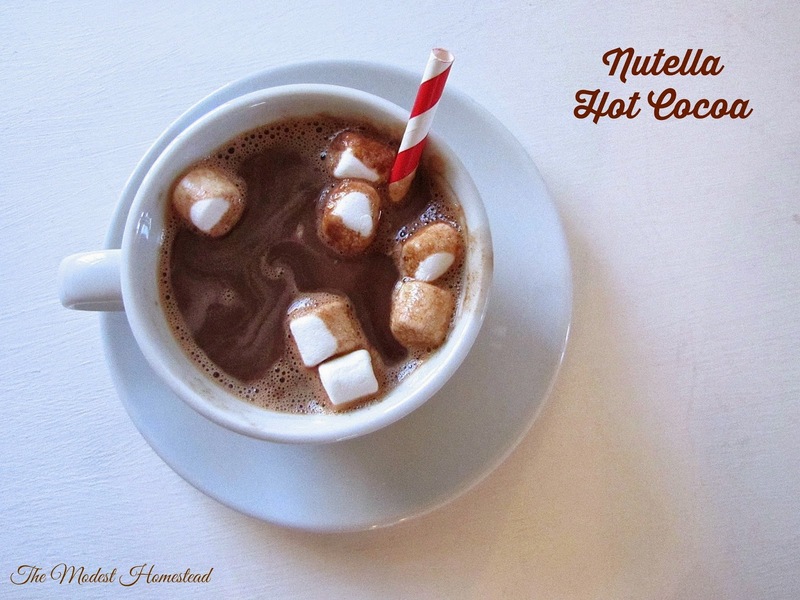 Pour into a cup and top with marshmallows.